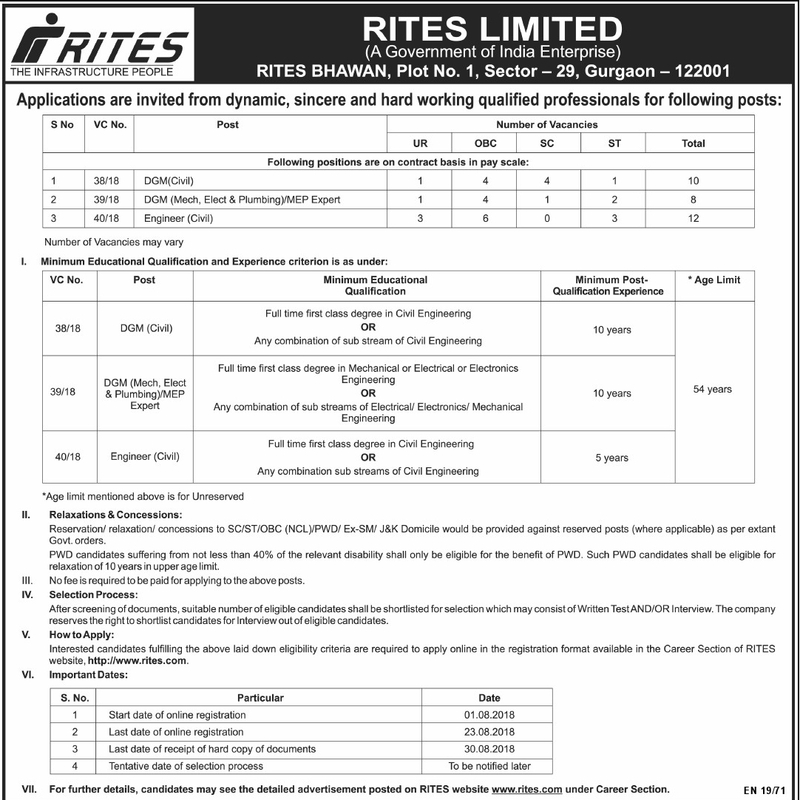 RITES Notification 2018 announced for the vacancies of 30 DGM, Engineer on its official website rites.com. Eligibility criteria, Educational Qualifications, Age limit, Selection process, Pay scale and other required details are mentioned below in careers99.com. So candidates who are interested and eligible can apply Online before last date of the Notification i.e., 23-08-2018. 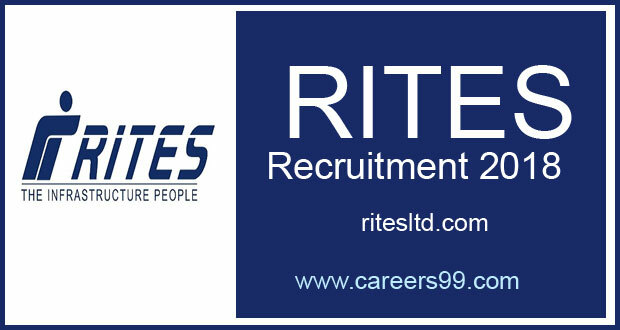 RITES Recruitment 2018 Job alert both Fresher and Experienced can get updated on 01-08-2018 notification on recent Rail India Technical and Economic Service recruitment 2018 openings @ Gurgaon . This is an exclusive page updated on 01-08-2018 for the latest recruitment notification rites.com from RITES 2018 it contains both active and recently expired Job openings and recruitment notification from RITES 2018. Selected candidates will get Rs.70, 000 – Rs.2,00, 000. by the Recruiting Organization.